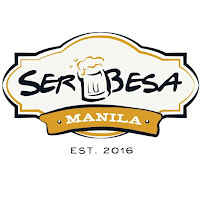 Home / beer / booze / cocktails / craft beer / events / food / food fair / pedro / serbesaMNL / stanfordshaw / street food / The Alcoholic / The Foodie / the red light / Exquisite Bar Grub and Cocktails by Serbesa MNL! 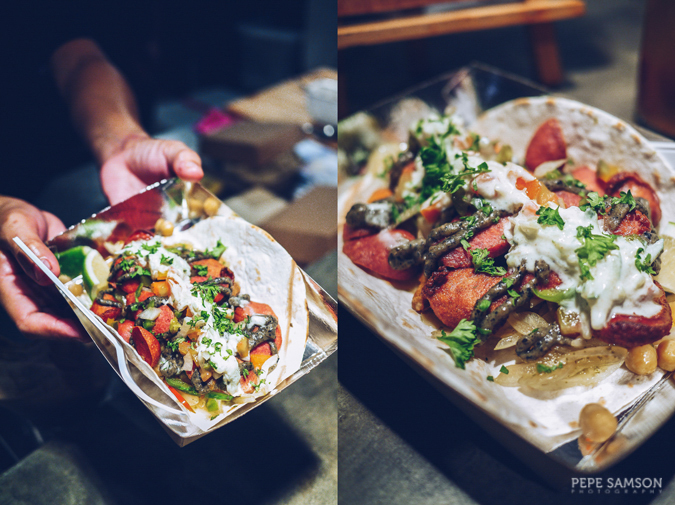 When I went to Valero Eat Street last year, I can't believe I didn't check out Serbesa MNL's booth just because the lines were crazy. It should have been an indication: why were these people queueing up here when there were a bunch of other food stalls nearby? 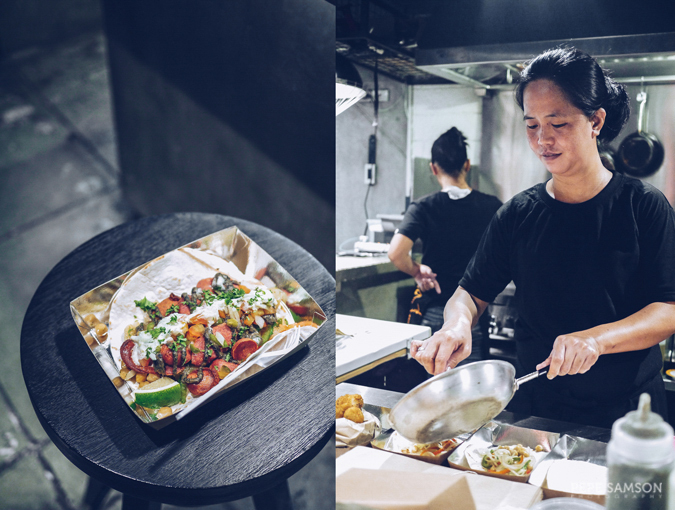 Out of laziness, I hopped over to the guys selling baos, pizzas, and burgers instead, and missed what was probably the best merchant in that food fair—one that should be in any food bazaar or pop-up event. 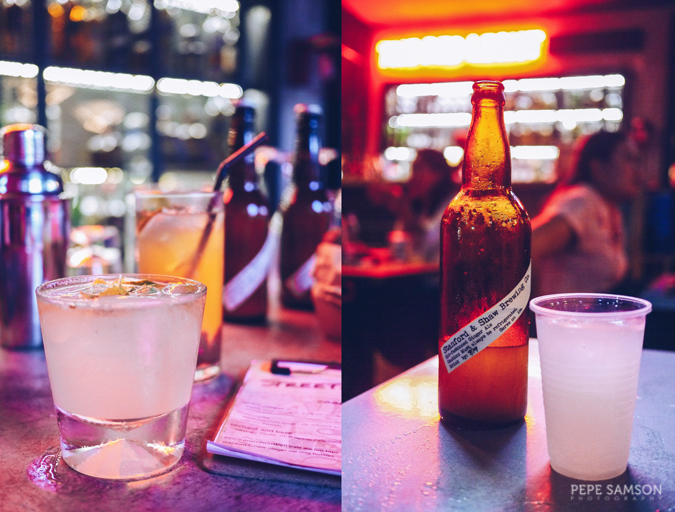 That's why when Jazelle Carandang of Serbesa MNL invited me to check out their latest pop-up event, I had no hesitations in saying yes. 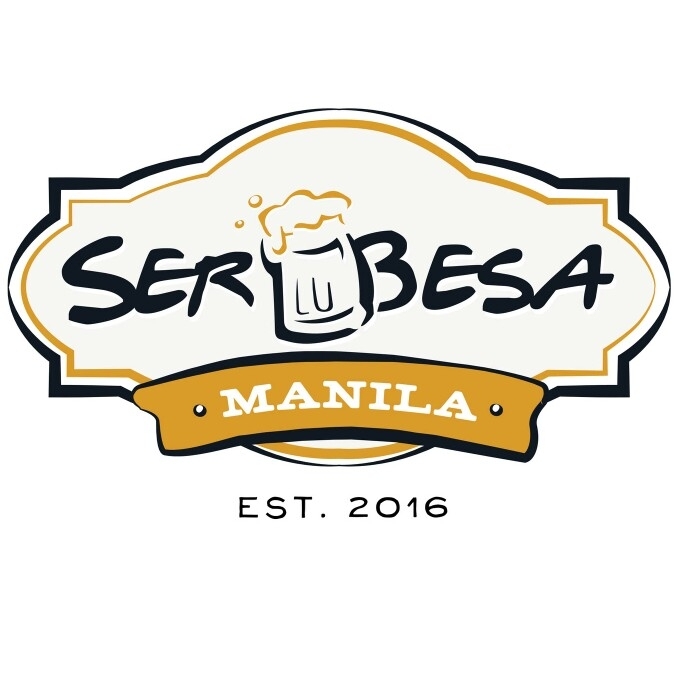 Serbesa is an independent group specializing in global street food and cocktails, and you won’t find them in a physical store but rather in various food events around the metro (check their Instagram here). 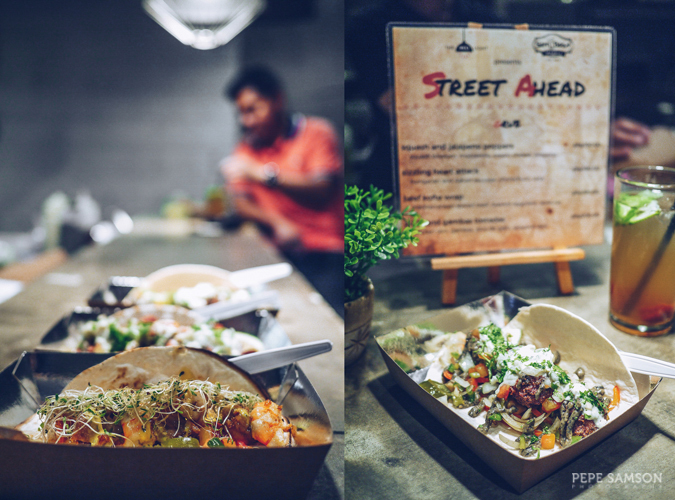 Street Ahead is its newest concept and Jazelle’s first solo event—a 2-night global street food and cocktails pop-up at The Red Light kitchen in Poblacion, Makati. 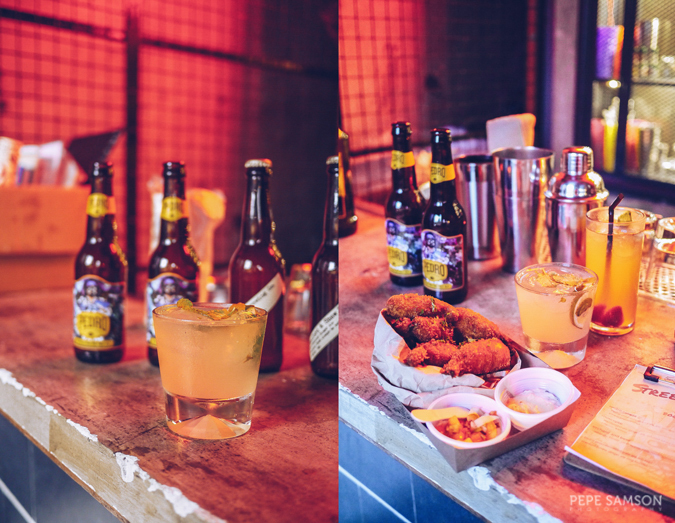 In partnership with Pedro Brewcrafters and Stanford Shaw Brewing, Street Ahead features a selection of popular bar grub alongside cocktails created with craft beer and ginger ale. 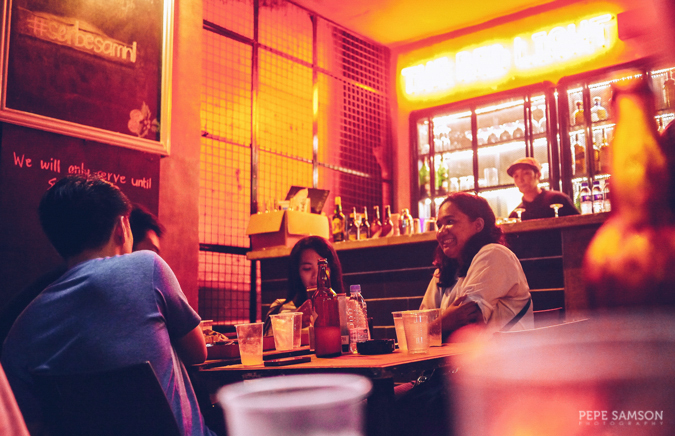 The Poblacion area is really turning out to be something akin to Lan Kwai Fong in Hong Kong: decrepit-looking buildings and renovated houses conceal eateries that dish out delicious food, some even tastier than those sold in mall dining spots. 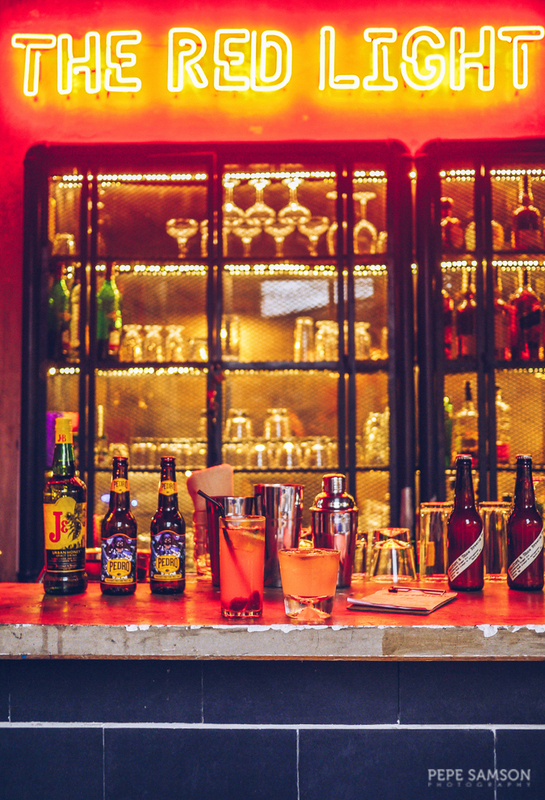 It is probably why you would find more and more yuppies and couples going out on dates attacking this side of the city, where formerly only expats hung out. 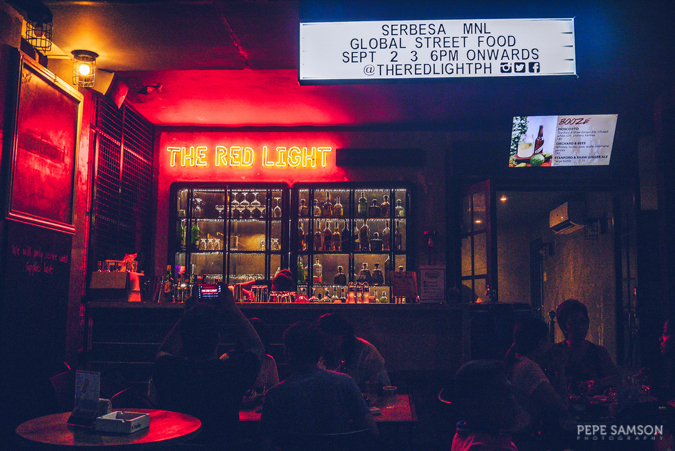 I found The Red Light to be the perfect venue for Serbesa MNL's event. To be honest, if Jazelle becomes a mainstay here, her food could drive some establishments out of business. 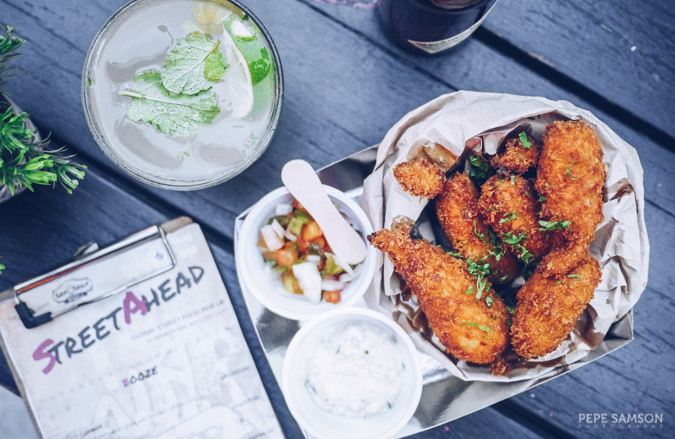 My friends and I enjoyed a carefree, chill night at Street Ahead, sampling every dish from Jazelle’s humble yet exquisite lineup as well as a few rounds of drinks. Sitting in the alfresco area of The Red Light makes you feel as if you’re in another country, and I embraced everything—from the honks of the occasional car passing by and the bright red glow of the restaurant signage, to the heat of the night and the wisps of smoke coming from the nearby barbecue stalls. The bar, however, is a good spot for seeing the cooks in action in the open kitchen. We started with some Squash and Jalapeno Poppers, which is, in my opinion, the best dish of the night. 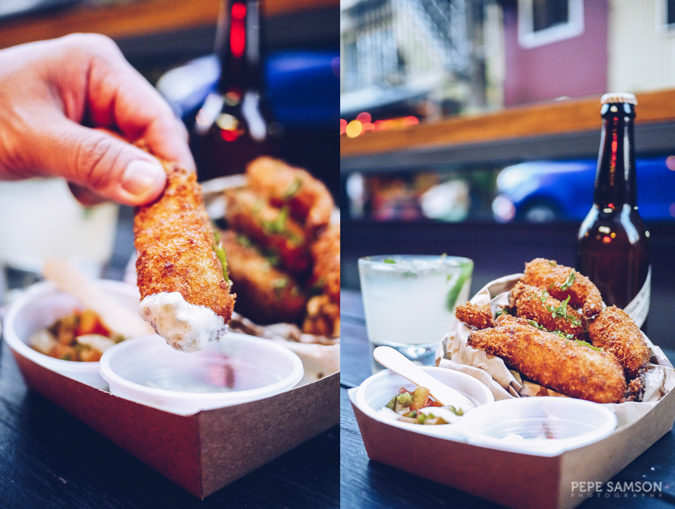 A cross between a croquette and a dynamite (a local finger food made of chili pepper stuffed in lumpia wrapper, then deep-fried), these tasty poppers ensconce squash blossoms, jalapeno, cream cheese, and mozzarella, and come served with a garlic-mayo dip and some tangy salsa. I loved how the cheeses cut through the spice, and how a lime-and-vinegar syrup—drizzled on the batter—lends a sweetish and acidic element. The salsa is especially addicting. My second favorite is the Beef Kofte Wrap—Mediterranean-spiced beef balls laden atop sautéed vegetables, then smothered with garlic sauce and roasted eggplant sauce. I love the intense flavors of the beef, which, if you find too salty, you can fix with some lemon juice. The homemade roasted eggplant sauce is like baba ganoush—incredibly addicting! The Sizzling Heart Attack is a combo of Italian and Hungarian sausages, served with mixed veggies, chimichurri, and cucumber raita. If you like sausages, you will enjoy this dish. It’s quite similar to the Beef Kofte though, and since the other was just so good, I just had a few bites of this and went on to the next dish. 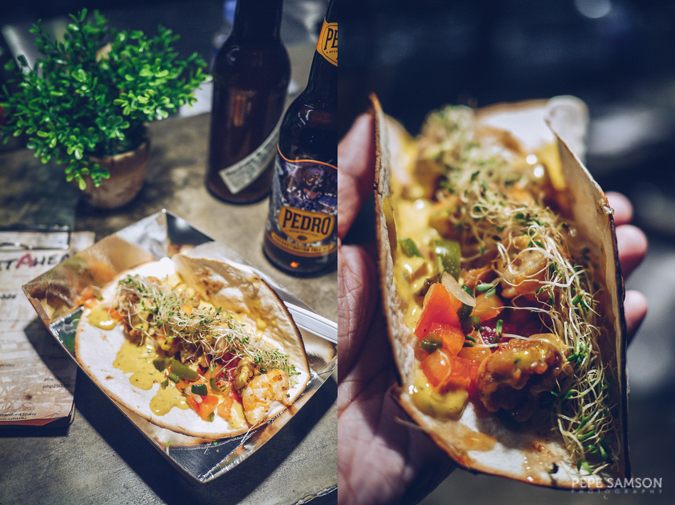 Chicken skin and gambas come together in the Pollo and Gambas Tostadas—a tortilla loaded with chicken skin, garlic shrimps, pico de gallo, jalapeno aioli, and alfalfa sprouts. Light and fresh, this dish is perfect for seafood lovers as the shrimps used were plump and fresh. 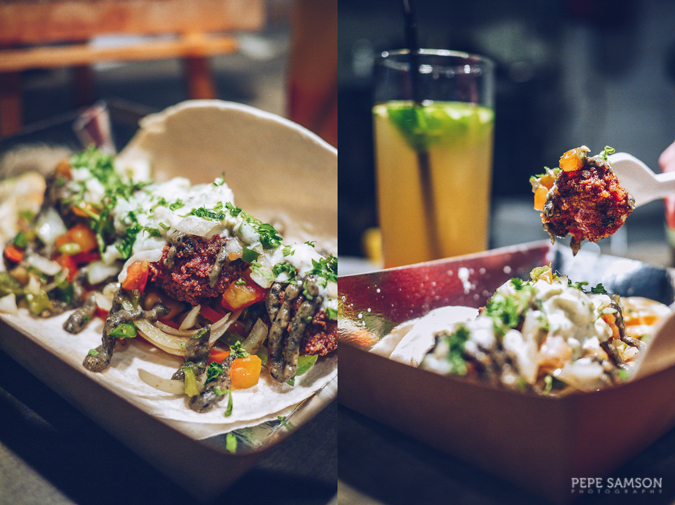 I loved the refreshing salsa that cuts through the rich jalapeno aioli. Jazelle developed the recipes for these dishes herself—as well as the awesome cocktails served at the pop-up. 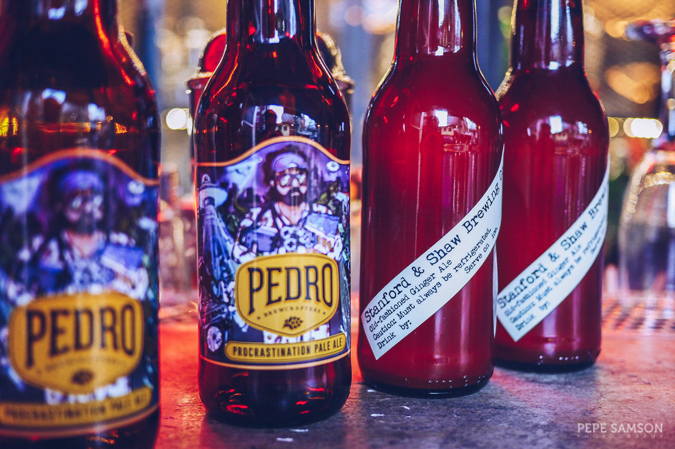 Being the huge craft beer addict that I am, my obvious favorite was the Pedro Colada—Jazelle’s version of the pina colada that uses pineapple juice, coconut, strawberry slices, and white rum infused with Pedro’s Procrastination Pale Ale. I loved how refreshing it was—I almost thought I were enjoying it by the beach! The sweetness is just right, the beer still perceptible. A well-balanced drink—I downed two of these in minutes alongside delicious poppers and wraps. The Moscojito comes close to being my top choice though. Here, Moscow mule meets mojito—the drink uses white rum, cilantro, kamias (yes, that’s right), and Stanford and Shaw Ginger Ale. The ginger ale, even on its own, is delicious, but Jazelle takes it several levels higher with her creative cocktail. 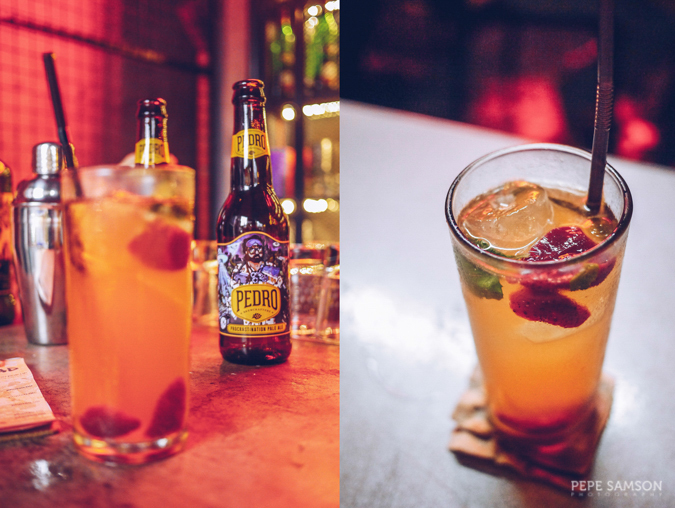 Gingery, minty, sweetish, acidic—this drink is the bomb and it puts gastropubs selling cliché concoctions to shame. When I learned about Jazelle’s age, I couldn’t help but admire her. Here is a young, incredibly talented girl whose passion for food overflows. 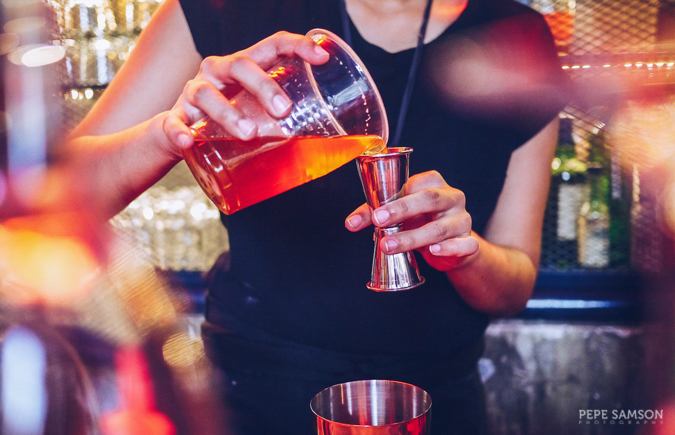 It’s evident with how she makes food and cocktails—honest, creative, ambitious. 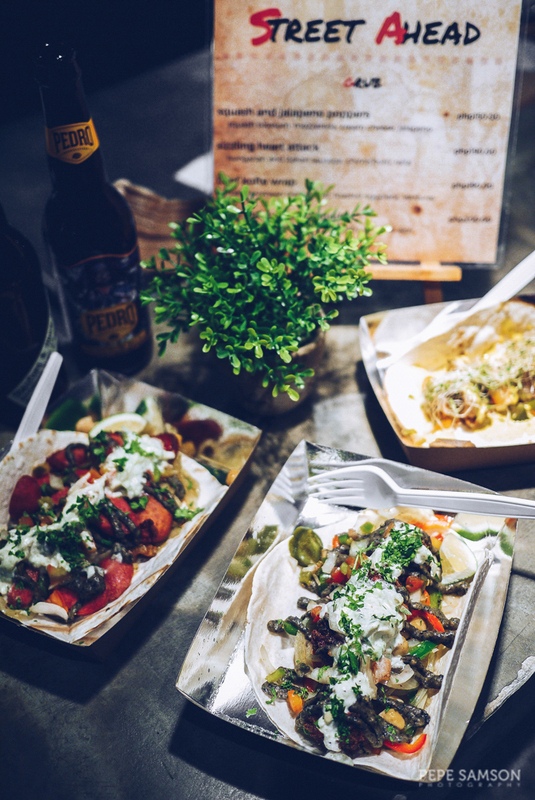 And going around the city doing pop-ups and setting up in food fairs is no joke—you have to really love what you’re doing in order to go on. 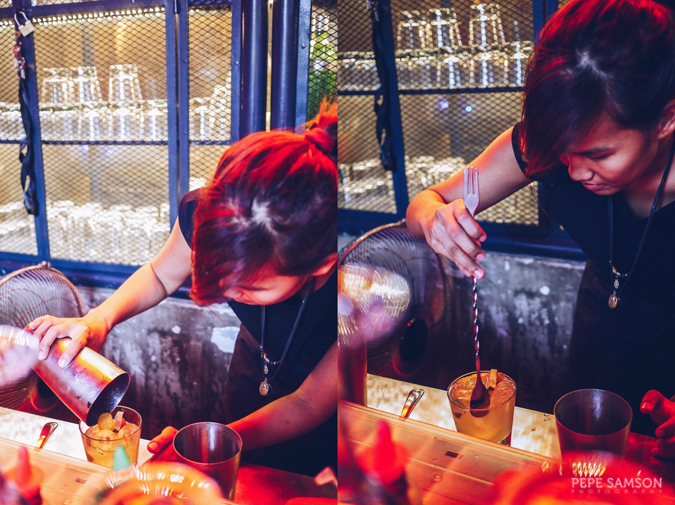 With the things she does for Serbesa MNL, the love is as vibrant as each bite of her piquant wrap or each sip of her perky cocktail. I can’t wait for her next event—this time, I’m definitely lining up. 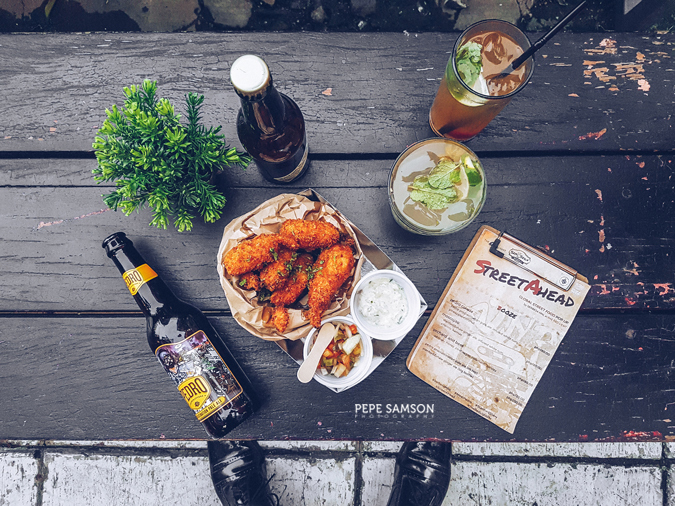 Catch Serbesa MNL's next food pop-up (this time, a street food and craft beer pairing event) this September 15 at The Bottle Shop - BGC. Have you tried Serbesa MNL's food in any food fair you went to? How did you find their offerings?